Background: While cheek implants have been around for decades, it is clear there are some fundamental deficiencies in their design. Male cheek augmentation is often unsatisfactory as traditional implants often create an ‘apple cheek’ effect which is not the midface look most men are seeking. Similarly there are some women who are not seeking this more anterior cheek fullness effect either. It is interesting in that if you look at the shape of the cheek or zygomatic bone, it does not have an oval or spherical shape as most cheek implants do. Rather it has a central convex surface with three specific legs, a posterior arch, an anterior infraorbital and an oblique maxillary extension. 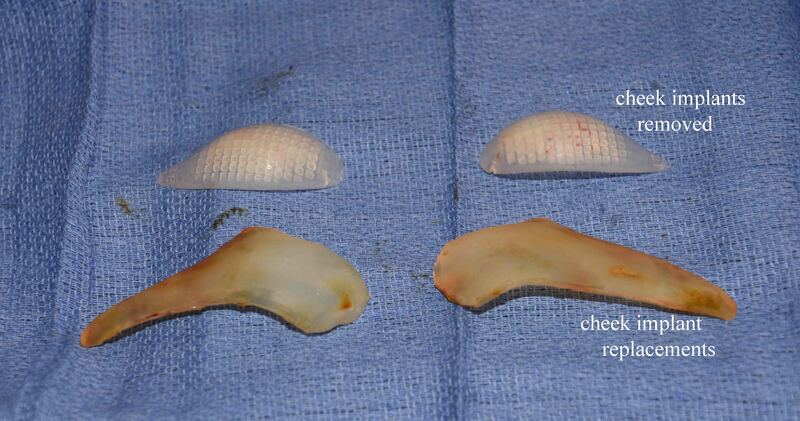 Thus it would seem logical that a more anatomic cheek implant would have a similar shape as that of the bone for which it is intended to augment. Case Study: This young male had a prior history of cheek implants that he ultimately felt made little difference. 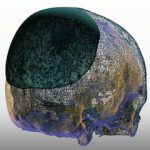 A 3D CT scan of his face showed small Conform silicone cheek implants placed high on the anterior cheek bones. This was presumably to create a ‘high cheek’ look but their small size and shape was destined to achieve an unsatisfactory cheek augmentation effect. Under general anesthesia and through his existing maxillary vestibular incisions, the indwelling cheek implants were removed. They were replaced with special design cheek-arch implants that had a more anatomic shape which has a far better chance of creating that swept back cheek augmentation effect. 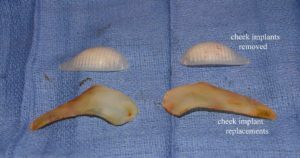 A comparison of the old vs new cheek implants and their size and shapes demonstrate why their cheek augmentation effects would be very different. 1) Standard cheek implants provide a more limited cheek augmentation effect the is largely relegated to the main zygomatic body. 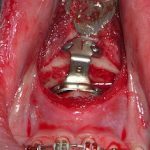 2) In contemporary cheek augmentation most patient are seeking a more extended implant coverage area back along the zygomatic arch.